Europe is losing the sense of shared solidarity, said the United Nations High Commissioner for Refugees, lodging an attack on EU leaders for failing to agree on a proper strategy to deal with the migration crisis. 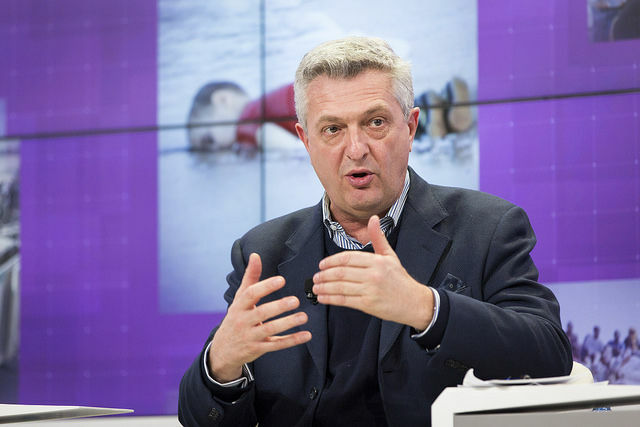 “The traditional system of Europe to screen ad receive refugees was good enough before the refugee crisis, but with increased mobility, the system has collapsed,” Filippo Grandi said at the World Economic Forum in Davos on Tuesday (23 January). “It has collapsed as a reception system and as a shared system. Europe has lost the sense of shared solidarity. Some states do, some states don’t,” he added. At @wef in #Davos to tell political+business leaders that refugees are one of worst symptoms of a fractured world. To close this fracture, we must be united, inclusive, creative, compassionate. But what is most worrying, the UNHCR chief insisted, is the gaps and limitations of the integration policies the crisis has revealed. Recalling what happened in Germany in 2015-2016, when Chancellor Angela Merkel welcomed Syrian refugees, he stressed that “what failed her was not Germany, but the solidarity of Europe to share responsibility”. The EU is still at odds on how to solve the refugee crisis, with several eastern member states refusing to take in refugees. Disagreements over migration are deeply anchored into political disputes, making the issue even more politicised. 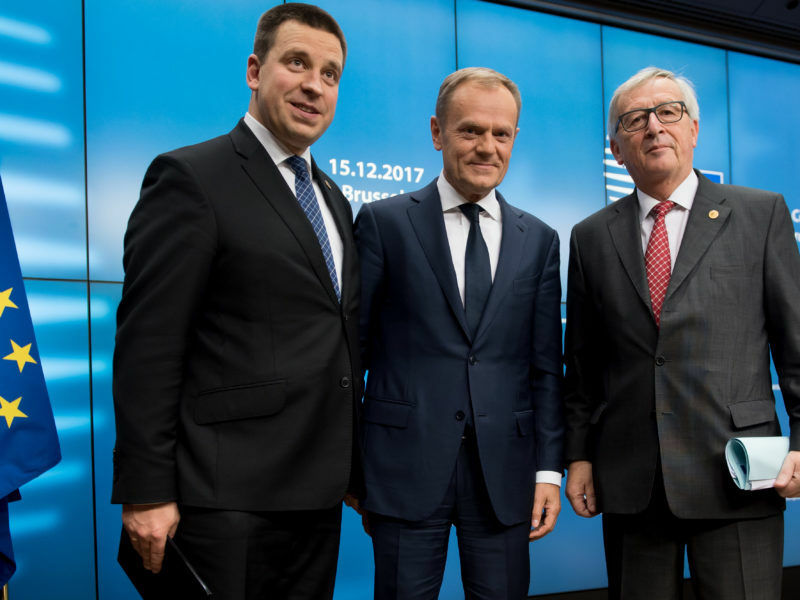 EU leaders made clear at the end of a two-day EU summit last December that the issue would be prominent at the next three European Council meetings. At the next summit in February, the heads of state will discuss plans to carve out a new financial instrument aimed at decreasing the number of migrants who arrive in Europe illegally. EU leaders are preparing for a difficult start to 2018 when heads of state weigh new measures to deal with illegal migration. But the European Commission and European Council leaders agree that they want to avoid putting migration proposals to a vote that could divide member states. They also pledged to decide this year on reforming the Dublin regulation for asylum procedures and on whether to keep mandatory quotas for relocating refugees from Italy and Greece to other member states. The UNHCR has repeatedly underlined that until the Dublin reform is adopted and a more permanent model put in place, the need for such responsibility-sharing mechanisms remains acute. The current “Dublin rules” place a huge burden on the main migrant entry points like Greece and Italy. Under those rules, refugees must claim asylum from the first country they arrive in and should be returned there if they move on somewhere else. The Commission first introduced quotas in 2015 to help Italy and Greece manage the wave of asylum seekers. In December last year, the EU executive referred the Czech Republic, Poland and Hungary to the European Court of Justice for ignoring the quota to relocate refugees from Italy and Greece. Meanwhile, the 193 member states of the United Nations unanimously agreed in September 2016 to negotiate a global compact for safe, orderly and regular migration. Today people are moving more than ever before. There are presently around 258 million international migrants. That figure has grown rapidly since the turn of the millennium, when there were 173 million. Contrary to popular perception, there is more migration between countries of the global South than from there to the global North. Asia hosts the most migrants, with 80 million residing in the region, say experts in Davos. According to the UNHCR, an estimated 362,000 refugees and migrants risked their lives crossing the Mediterranean Sea in 2016, with 181,400 people arriving in Italy and 173,450 in Greece. In the first half of 2017, more than 105,000 refugees and migrants entered Europe. Grandi reiterated that in Davos, stressing that we should move from a purely humanitarian response to a development-oriented one. There comes that obnoxious word ‘solidarity’ again…If Merkel unilaterally invites the world to come to Germany then that is entirely her on her. Subsequently demanding ‘solidarity’ is a chutzpah!